It's a busy week for the National Tender Bulletin with many new opportunities for the ICT sector to consider. Nevertheless, some players will be disappointed at the lack of tenders being awarded. Software is in great demand this week, with 11 requests; followed by telecoms with five new tender opportunities. Other areas sought include services; printing; security; call centres; research and analysis; support and hardware. The supply, delivery and installation of network cabling is required for Kimberley Correctional Centre. Period: once-off. Information: Technical: Phokojoe Thuso (053) 836 6254, fax: (053) 836 6286, e-mail: thuso.phokojoe@dcs.gov.za. General: Jeanette van Wyk, (053) 836 6254, fax: (053) 836 6286, e-mail: jeanette.vanwyk@dcs.gov.za. SITA is advertising for the renewal of SpamTitan e-mail infrastructure security for the Office of the Premier, North West Province. Information: Mantsie Mabiletsa (012) 482 2655, e-mail: mantsie.mabiletsa@sita.co.za. 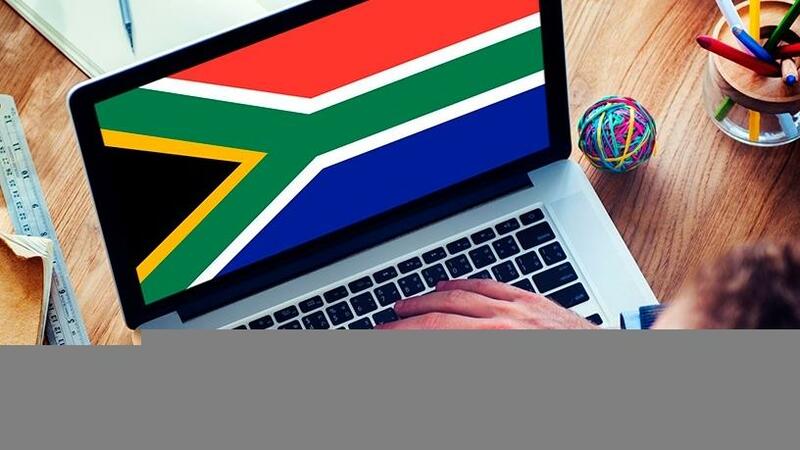 A service provider is sought to optimise the Expanded Public Works Programme Beneficiary Management Solution; implement a biometric-enabled beneficiary time and attendance and payroll management solution. Note: At least 50% to be scored on each weighting to meet the requirement. Information: Technical: Themba Koka, cell: 082 040 3125, e-mail: Themba.koka@gauteng.gov.za. General: Millicent Chauke, (011) 355 5794, e-mail: Millicent.Chauke@gauteng.gov.za. The board is looking for an after-hours and public holiday psych-social hotline service. Note: fax documentation will not be accepted. Information: Technical: Relebohile Moloi, (012) 003 1400, fax: (012) 661 0074, e-mail: Relebohile.moloi@fpb.org.za. General: Khomotso Letlape, (012) 003 1400, fax: (012) 661 0074, e-mail: Khomotso.Letlape@fpb.org.za. SANSA invites bidders to tender for international Internet connectivity for a period of three years. Information: Technical: Simon Chaba, (012) 334 5000, fax: (012) 334 5001, e-mail: spaceops-scm@sansa.org.za. General: Obakeng Phutu, (012) 334 5000, fax: (012) 344 5001, e-mail: spaceops-scm@sansa.org.za. The agency is also looking for supply and delivery of a vector signal receiver. Information: Technical: Eugene Avenant (012) 334 5000, fax: (012) 334 5001, e-mail: spaceops-scm@sansa.org.za. General: Obakeng Phutu, (012) 334 5000, fax: (012) 344 5001, e-mail: spaceops-scm@sansa.org.za. The department wishes to appoint a service provider to conduct knowledge harvesting, produce reports and facilitate implementation of recommendations over a period of six months. Information: Technical: C Kekana or L Venter, (012) 312 8138/8035, e-mail: Constance.Kekana@drdlr.gov.za, Levina.Venter@drdlr.gov.za. General: Daisy Mongwai, Kopano Ntsoane or Abie Olyn, (012) 312 8359/9786/9448, fax: (012) 321 2974, e-mail: daisy.mongwai@drdlr.gov.za, abie.olyn@drdlr.gov.za, kopano.ntsoane@drdlr.gov.za. A service provider is sought to lease telephone management and switchboard systems for the department at the following offices of the Registrar of Deeds: Johannesburg, Mpumalanga, Mthatha and King Williams' Town Deeds Registries for a period of 36 months. Note: Kindly take note that this bid will be evaluated in two stages. During the first stage, bids will be evaluated on functionality, whereas in the second stage in accordance with the 80/20 preference point system as prescribed in the Preferential Procurement Regulations, 2017. Bids that fail to achieve 60 points out of 100 on functionality will not be considered for evaluation in the second stage. Briefing: No briefing session will be conducted, however arrangements to view the sites may be organised. Information: Technical: Giddeon Phokane (012) 338 7007, e-mail: Giddeon.phokane@drdlr.gov.za. General: Buti Matjila (012) 338 7107/7311, cell: 082 385 4570, e-mail: Buti.Matjila@drdlr.gov.za. The department is looking for a service provider to maintain and support the SolarWinds Network Monitoring Solution and licences renewal for a period of three years. Note: Bidders must please take note that it is mandatory for all bidders to be registered on the Central Supplier Database of National Treasury. Information: Technical: S Nkambule, e-mail: Snkambule@thedti.gov.za. General: E Dennis, e-mail: Edennis@thedti.gov.za. The requires a service provider to maintain and service electronic security equipment, electronic access control systems and electronic surveillance systems CCTV (hardware and software) and related security equipment on the premises of KZN Department of Economic Development Tourism and Environmental Affairs: Headquarters, Tourism Offices, Ethekwini District, Ilembe District, King Cetshwayo District and Umkhanyakude District. Note: To be eligible for this bid, bidders are required to attend all six briefing sites. Information: Technical: Sipho Buthelezi (033) 264 2870, e-mail: buthelezis@kznded.gov.za. General: Gugu Dladla, (033) 264 2700, e-mail: gugu.dladla@kznedtea.gov.za. The authority is looking for an enterprise resource planning system. Note: All the documentation submitted in response to this tender must be in English. Information: Technical: Bongani Masango (011) 403 1700, e-mail: Bonganim@fpmseta.org.za. General: Lebogang Tsagae, (011) 403 1700, e-mail: tenders@fpmseta.org.za. The IRBA invites proposals from appropriately competent and suitably experienced service providers to supply, install, deliver and maintain multi-functional printers. Information: Technical: Marius Fourie (087) 940 8700, e-mail: mfourie@irba.co.za. General: Samantha Berry (087) 940 8700, e-mail: sberry@irba.co.za. The centre is looking for an automated Web search application. Information: Lindiwe Mnisi (012) 641 6092, e-mail: Tenders@fic.gov.za. A service provider is sought for the land audit to develop a database of properties acquired through USDG and HSDG across South Africa to establish land status at HAD for the period of 10 months. Information: Technical: Mulisa Nethengwe (011) 544 1000, e-mail: Mulisa.Nethengwe@thehda.co.za. General: Thabiso Diutlwileng (011) 544 1000, e-mail: Thabiso.Diutlwileng@thehda.co.za. ICASA is looking for a consultant to assist with the analysis of the market research, financials and business plans of applications for individual commercial FTA TV broadcasting service licence and the applicable radio frequency spectrum licence (mux 3 frequencies) for a period of 11 months, as well as the advertisement of a new bid for a period of 21 days. Note: The bid will be evaluated on: (a) submission of the required documents, (b) functionality, (c) and on PPPFA preference points system. Only bidders who meet the cut-off score of 70 points for functionality will be considered further for price evaluation. The bid will be evaluated on 80/20 preference points system. Information: Samuel J Siziba, (011) 566 3629, e-mail: ssiziba@icasa.org.za. INSETA requires a business information management system. Note: This tender will be evaluated in terms of the 80/20 preferential point system, Regulation 2017. Information: Mamasele Mokoena (011) 381 8907, e-mail: supplychain@inseta.org.za. Information is requested for the provision of an off-shelf electronic case management system to PPSA nationally. Information: Technical: Thabang Maswi (012) 366 7251, e-mail: ThabangMa@pprotect.org. General: Nkele Nemusimbori or Sana Nzolo, (012) 366 7014/7058, e-mail: Nkelen@pprotect.org or Sanan@pprotect.org. Supply, implement, maintain and support a commercial off-the-shelf innovative solution to replace the current South African School Administration and Management System to the Department of Basic Education, North West Provincial Education, and Free State Provincial Education. Appointment of a company to review the business continuity programme.